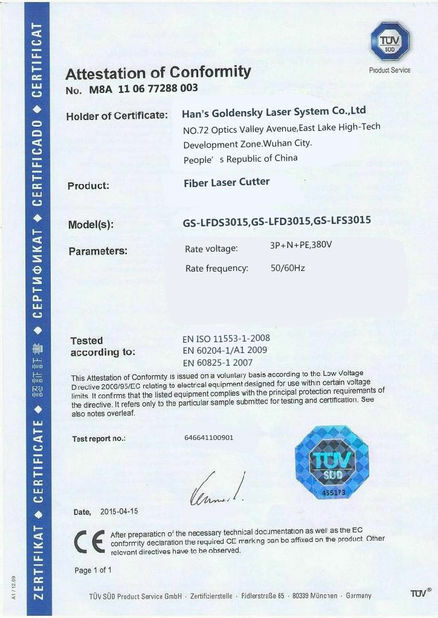 Through years of laser welding, heat treatment, laser cladding, laser cutting application,laser industry has accumulated a lot of process data,including transmission gear welding, saw blade welding,radiator welding,steel galvanized steel plate welding,filter welding,heat ex-changer welding,aluminum alloy battery box welding,three-dimensional space welding,rapid prototyping of blade,heat treatment and cladding of hydraulic prop, cutting teeth, scraper chamber, large roll (38 tons), large blast furnace gas regulator (5 tons), large gear (4 tons) and tubing,etc,cutting for sheet metal, steel pipe. These successful cases indicate that laser application can create high economic benefit and social benefit to users. Laser microporous processing is to make a series of small holes on the packaging materials which can easily tear and adjust the moisture inside the packaging. Laser microporous processing can make thick, sturdy packaging material open easily while maintaining the structural strength. Laser microporous processing can also be used in all kinds of packaging products, to control the airflow and moisture release to keep fresh. Wide prospect of the technology which can increase fresh products shelf time, or just release the air inside the packaging. 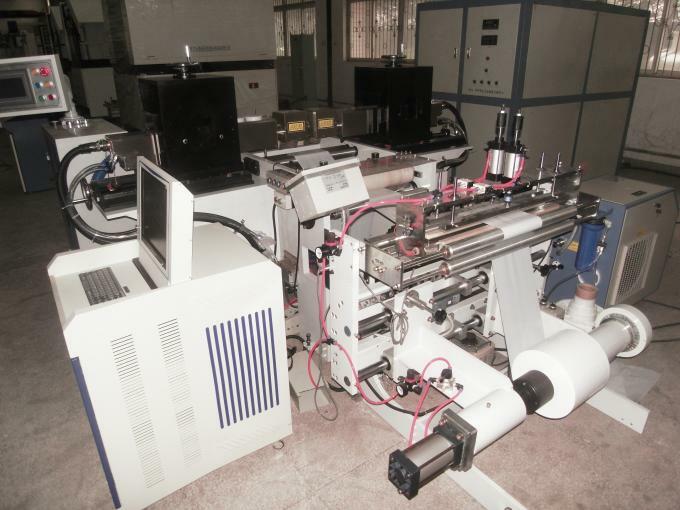 Usually, the advantage of laser mictoporous perforating is that the focus laser spot evaporate the holes on materials directly, not mechanical perforating to pierce or tear materials. 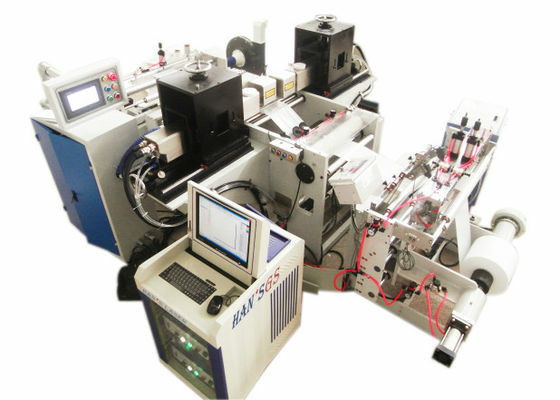 Therefore, the laser microporous perforating is more evenly than other perforating machining methods . 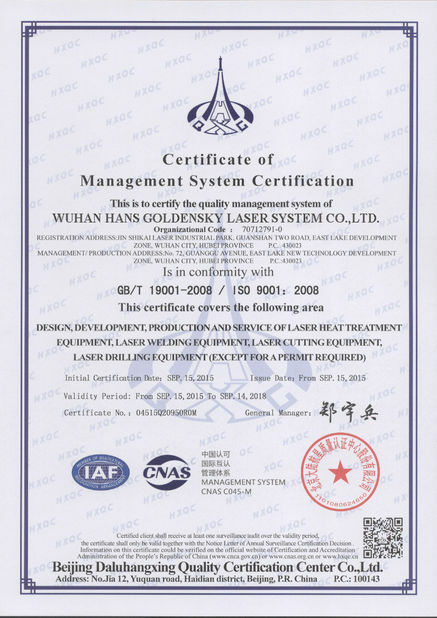 The laser microporous perforating machine for preservative packaging developed by Wuhan Han’s Goldensky Laser System Co., Ltd., is especially suitable for PET/PE compound anti-corrosion preservative packaging.This product has completely independent intellectual property rights,with international advanced level.Short production cycle, stable performance, 24 hours uninterrupted work and more than 10 years’ lifetime. Note : Single layer perforating, Bottom layer without hole can be realized during the double layer plastic.